29/01/12 - Heritage - Versailles, Domaine national du château et du parc - Last 24 January, the new PLU for Versailles could have been officially applied thus preventing any further opposition. Fortunately, the Société pour la Protection des Paysages et de l’Esthétique de la France, presided by Alexandre Gady whom we interviewed here not too long ago (see article in French), filed an administrative appeal, a legal procedure which gives Versailles City Hall two months to reconsider its project and, above all, provides more time for associations to take the city to court. The fight against the PLU, which started in the media (although for the moment most have remained silent), will now be led by associations. 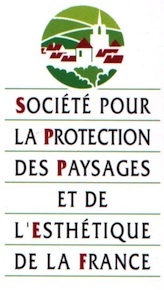 Besides the SPPEF, we point out the statement published on 17 January by Yvelines Environnement, an association of public utility which groups together unions, federations, local associations and competent figures from the Yvelines department, concerned by the environment. This statement denounces the grave dangers of this project for the park of the château. It concludes by deploring "the absence of a real environmental project for the exceptional natural and historic ensemble made up by the Domaine national de Versailles, the Domaine national de Marly and the listed Plain of Versailles (formerly the Hunting Park)". Finally, it requests that thought be given to "the possibility of creating a regional natural park endowed with a charter to restore its biodiversity and its historical vestiges, in harmony with the existing urbanization."